Indy, Reef, Jive and Stella came to RSPCA when they were only four weeks old - a very young age to be away from their mother. Still too young to eat solid food and still learning how to behave like cats, these kittens needed constant attention and socialising so they could grow into healthy cats. As part of RSPCA ACT foster program, Caroline took them under her wing to give them the care they needed until they were old enough to be adopted. "What an amazing month it was," she said. "There is something very special about caring for four little animals. You really feel that you are giving them the best chance to survive. 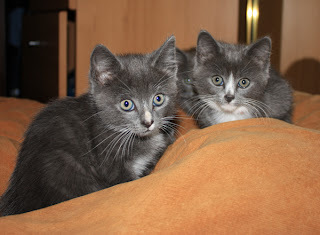 It goes without saying that feeding, cleaning and entertaining four kittens was very demanding, but seeing them put on weight each day as they learned to care for themselves was truly magical." "Of course, the separation day was emotional," she said. "But knowing that I had helped raise and socialise kittens that would now be part of someone’s family was a very rewarding experience." Indy, Reef, Jive and Stella’s story is fairly common here at RSPCA ACT. 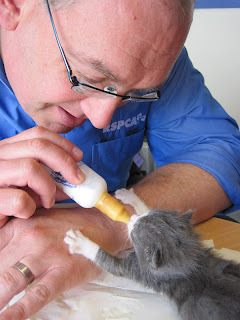 As the kitten season hits the shelter again, RSPCA is looking for new carers. Not only does fostering help RSPCA help more kittens, it also provides live-saving care to the animals most at risk in the shelter. Can you commit for at least two weeks? Do you have access to a quiet room (it can be the bathroom), away from other animals? Can you spare at least one or two hours per day to socialise your foster kittens? Orphaned neonates are kittens under two weeks who need to be bottle fed and toileted every three hours and also toileted. Can you feed your kittens every three hours? 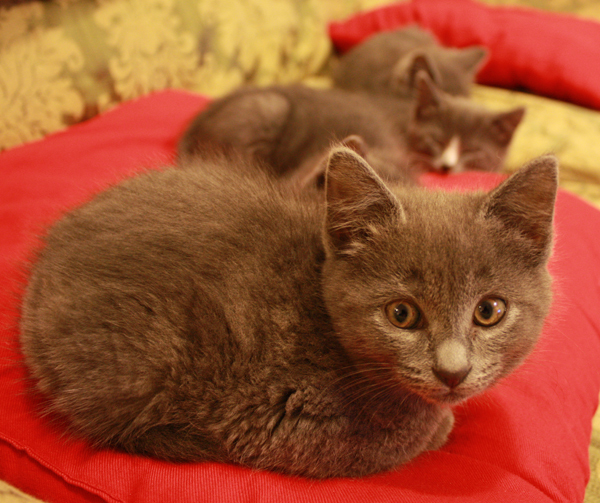 Are you prepared to wake up in the middle of the night to feed and toilet your kittens? If you are interested in becoming a foster carer for RSPCA ACT, please contact Victoria on 1 300 4RSPCA.